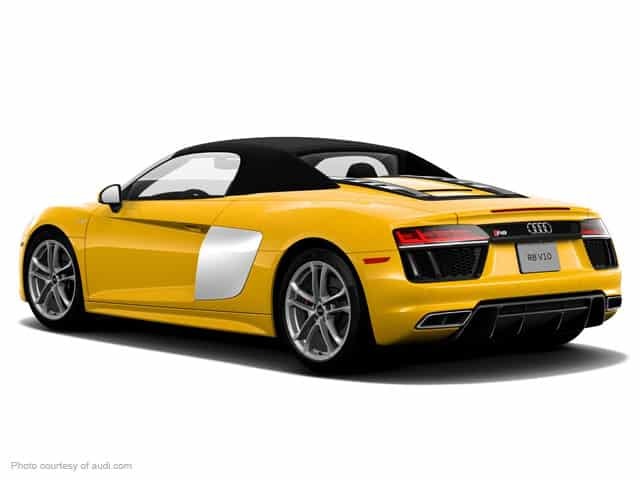 The Audi R8 Spyder is one of those cars that you really have to open up to appreciate, in all senses of the word. 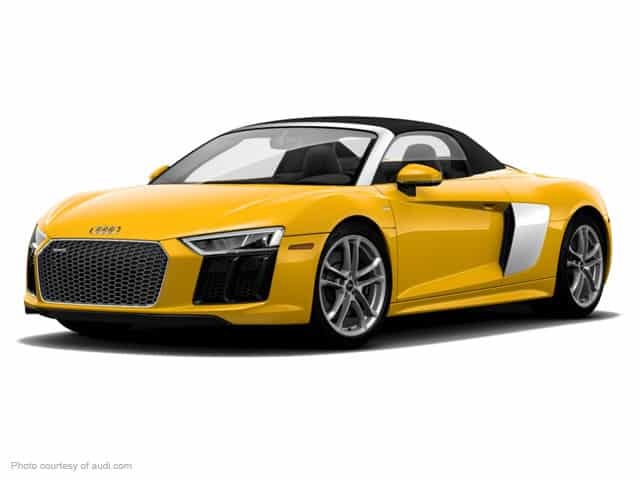 The R8 convertible Spyder, compared to the Coupe model had extra chassis support, a pair of roll-over safety bars and other minor changes such as the location of the fuel filter. R8 featured an uneven firing 5.2 liters FSI v10 engine with an excellent performance of 518 bhp. It accelerates 0-60 mph in about 4.1 seconds. The R8 Spyder engine is rarely louder than the Coupe’s engine. The convertible R8 Spyder looks rather pleasing when it comes to design. Its handsome interior has a 12.3” configurable display in comparison to the traditional gauges in the other models. The model also features a 4G LTE connectivity and a Wi-Fi hotspot capability. Audi also added a 3-bin storage compartment in the cabin at the back, between the seats. The interior is somewhat identical to that of Coupe, and like the Coupe it has enough head and leg room available to comfortably fit six plus foot types. The R8 is very identical in terms of interior to the Coupe, the thing that sets it apart is the convertible option. However, it is the most user-friendly sports car. It has a fully automated top, which makes it possible for it to go up, or down in 19 seconds to a speed of 31 mph and it is compatible to work at temperatures as low as 5 degrees. Take it on ride along the French Riviera or storm the marvelous roads nearby Maritime Alps.